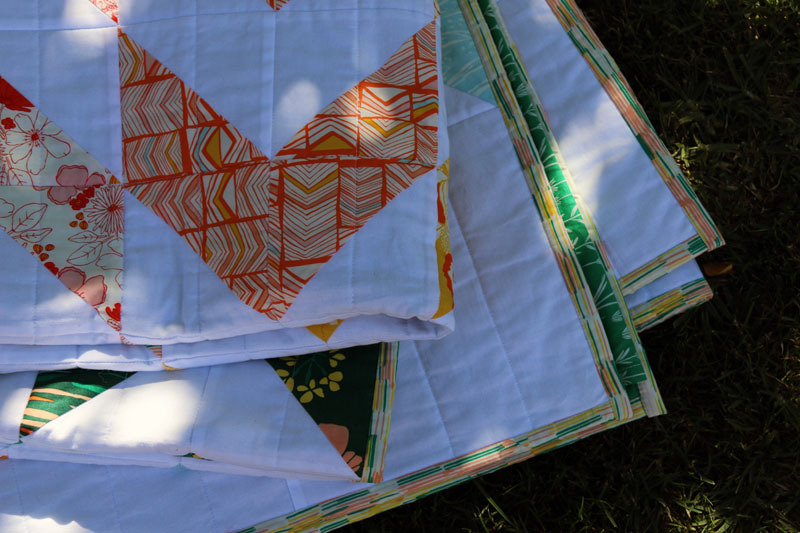 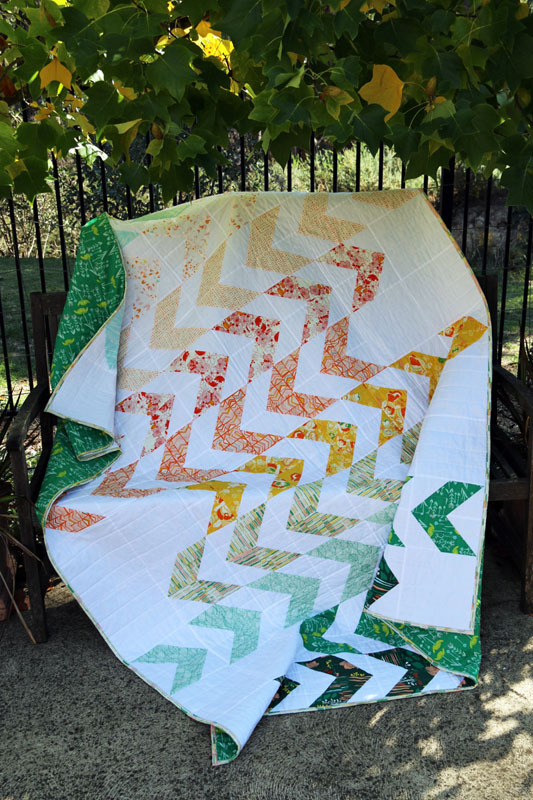 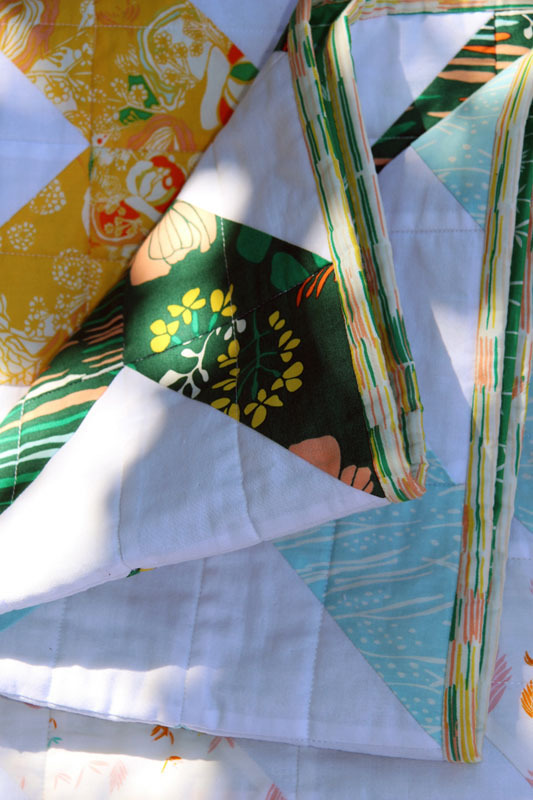 Meadow Tracks is a modern quilt design that is also fat Quarter friendly and includes easy instructions to make piecing a breeze. 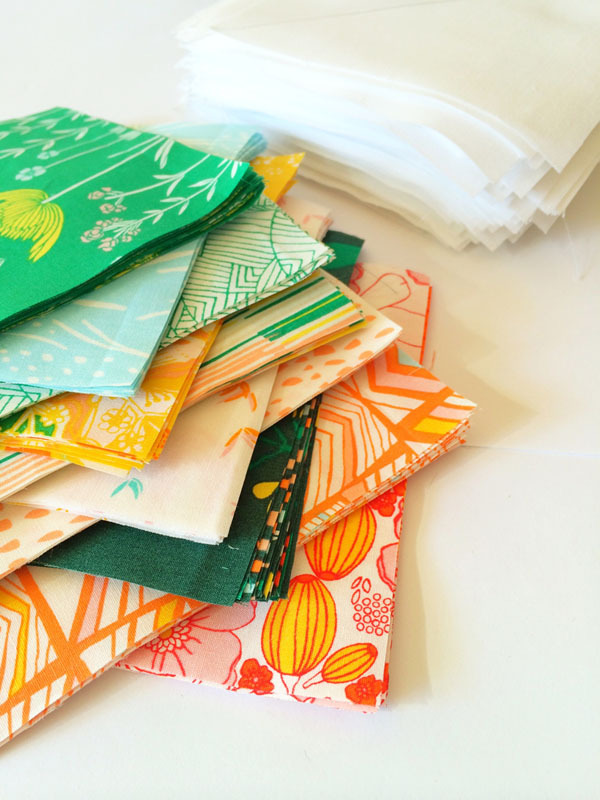 Would suit all the fabulous modern ranges of fabrics and would also be striking in solids. 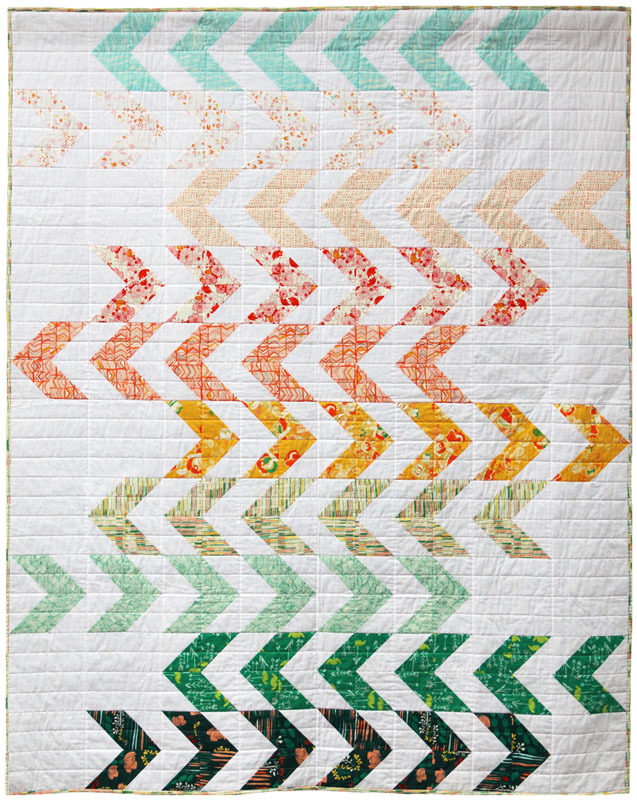 This quilt was made using Leah Duncan's range of fabrics called Meadow. 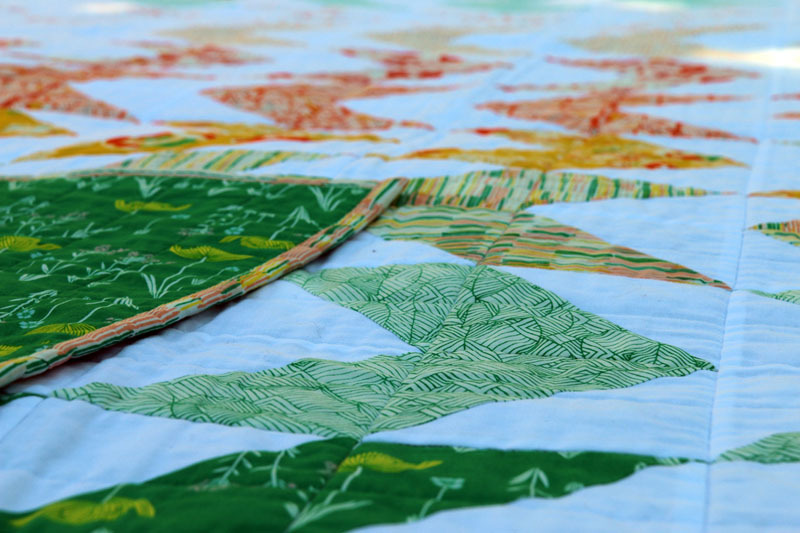 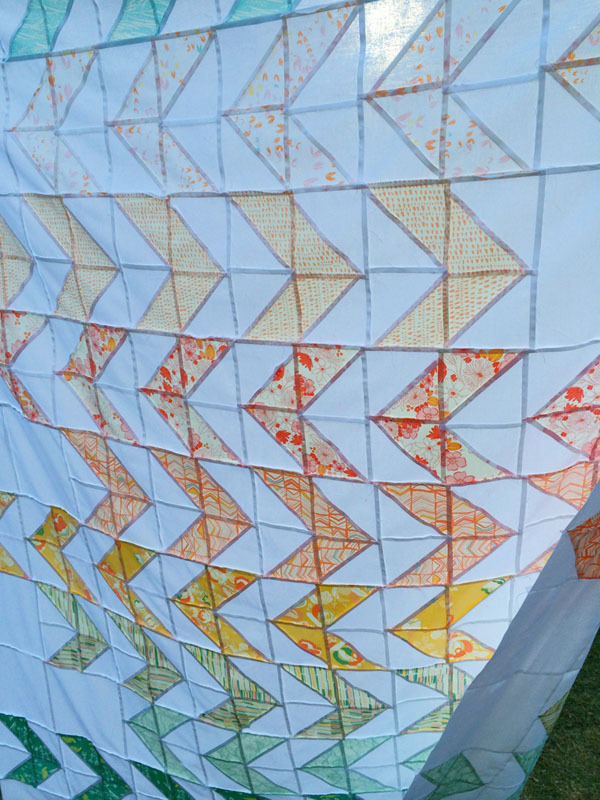 The quilt has been quilted simply using a walking foot and straight lines.